Melissa Roberts is a native Texan with a heart as big as the state she is from. Superior quality of service is what you will see when you LEARN and spend time with her. You will undoubtedly know that you trusted the right advocate with her by your side. Within her 16 + years of experience she was able to be successful in the volatile Real Estate Market, that is a true testament of her high quality of service. Even when it was a "buyer's market" she was able to set a personal best with an average "days on market" . She has a skillful eye for staging and marketing to the target market. Competitiveness is also in her mind set. She is beyond determined in all areas of her life, and this is an advantage to her clients. She is a tough negotiator! 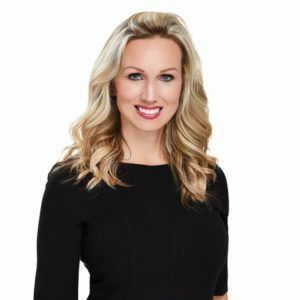 Melissa has won several awards such as 10 Million+ Diamond Club Top Producer 2017 & 2018, Platinum Top 50 Semi Finalist, but her most coveted awards are her client's glowing testimonials and their on going relationship, as their Realtor for life. Although it is clear that Real Estate is her passion, she loves being a wife, mom, and involved in her community of Dripping Springs! Her son is a Varsity Soccer player for Dripping Springs High School and started Kindergarten in DSISD. Melissa also has two daughters that are at Dripping Springs Elementary and are busy trying out various types of hobbies. Melissa married her High School sweet heart and she is so grateful for his strength and support, as she does spend so much time helping other families, that he is not only a busy dad, but a kid chauffeur.